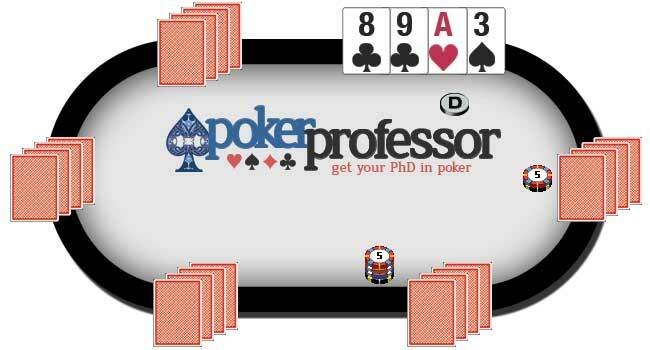 Omaha poker is one of the most popular poker games today, second only to Texas Holdem. In fact, Omaha poker is very closely related to Texas Holdem, played in the same manner, with the same premise, except that each player receives 4 hole cards instead of 2. If you have a good understanding of how to play Texas Holdem then you should be able to pick up Omaha in no time due to the similarities and the fact that it is a game from the same family of “holdem” poker games. Because of the slightly different rules associated with having four hole cards instead of two, it is recommended to play at least a few practice hands and get a good feel for the game before putting any real money on the line. Omaha is a poker game for 2 to 10 players, using a standard 52-card deck and can be played in a variety of limit structures, including Fixed Limit, No Limit and Pot Limit. In Omaha poker, each player receives a total of 9 cards (4 hole cards and 5 shared community cards) with which to create the highest ranking 5-card poker hand in order to win the pot. The player MUST use exactly 2 hole cards and 3 community cards to create his final 5-card poker hand. This is the most common error by new Omaha players when they think they have a very good hand, but then find that they are using more than 2 hole cards to form it, which is not permitted, if you can get your head around this then you have cracked how to play Omaha. Similarly to Texas Holdem, Omaha uses a dealer button to dictate the order of play in a hand. 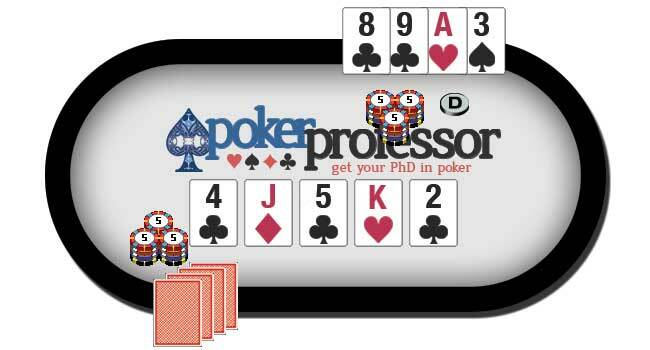 At the end of each hand the dealer button moves to the left onto the next player. Before the start of each hand two compulsory bets are placed – the small blind and the big blind. Each hand begins with the placing of the dealer button and the posting of the small blind and big blind bets, after which each player is dealt 4 cards face-down (known as the “hole cards”). Once each player has their hole cards, the first betting round begins, starting with the player to the left of the big blind. Check: if no player has previously bet in the current betting round you have the option to check, placing no wager into the pot but remain in the hand. This is not available in the first round of betting as the Big Blind has already made a bet that must be matched to continue. Bet: To place the first chips into the pot in a round of betting. In the first round of betting the big blind is the first bet into the pot. Call: To match the last bet placed in the current betting round. Fold: To forfeit the current hand and lose any chips you have put into the pot. All-In: An All-In bet can only be made in a no limit game or when the player has just enough, or too few, chips to call, bet or raise in a fixed or pot limit game. The All-In bet is made by pushing all chips into a separate pile near (but not in) the pot. A player may only win an amount from each player equal to his own All-In bet (hence the need for separation). 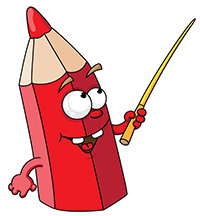 When betting reaches the small blind and big blind players, they may call the current bet by adding the difference between their blind bet and the current bet into the pot. 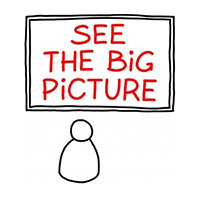 If no raise has been made then the big blind will be given the option to “check or bet”. After the first betting round is complete, then 3 cards are dealt into the center of the table. These “community” cards are shared by all players and hence are dealt face up for everyone to see. The second round of betting then begins starting with the first player to the left of the dealer who still remains in the hand. On the Turn the fourth community card is dealt to the center of the table for all players to see. This is then followed by the third betting round following the same format as the previous round. The dealer deals the fifth and final community card onto the table which is known as the “River card”. Now with all hands complete, the final betting round takes place and is the last chance for players to get chips into the pot before the winner is decided in the “Showdown”. All players who are still in the hand will use EXACTLY 2 hole cards and EXACTLY 3 community cards to create the best possible 5-card poker hand. 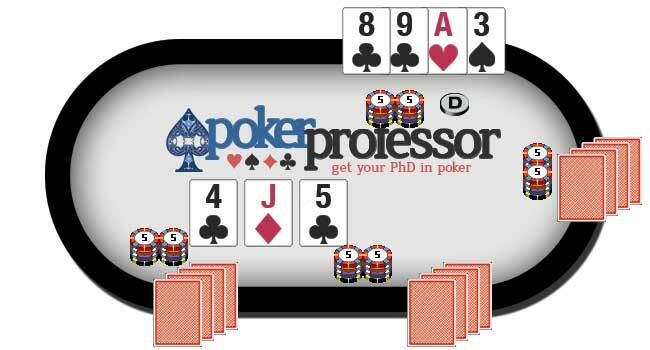 The player with the highest ranking poker hand wins the entire pot. If an exact tie occurs, then the winners share the pot. Omaha Hi Lo, sometimes also called “Omaha Hi Low” or “Omaha 8 or Better”, is a quite popular among most poker enthusiasts, and a staple event in the World Series of Poker. The most intriguing draw for fans of Omaha Hi Lo, and coincidentally the major aversion for players who dislike the game, is the fact that two players can win the same hand and split the pot. Omaha Hi Lo is played in exactly the same way as the regular version of Omaha detailed above. The only difference is that instead of the whole winners pot being awarded to the player with the best hand from the High Poker Hand Rankings, they are only awarded half the pot, with the the other half being awarded to the player with the best hand from the Low Poker Hand Rankings. 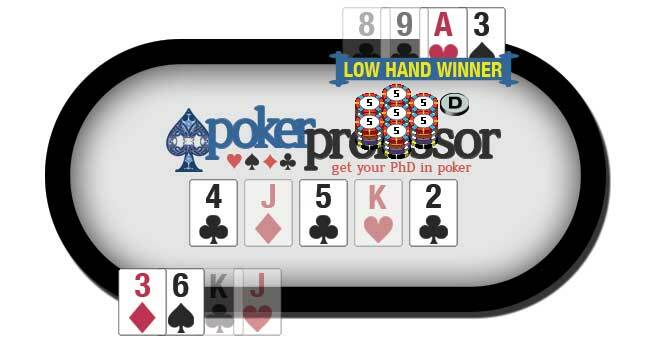 Because of the heavy restrictions on the high and low Omaha hands, any player unfamiliar with how to play Omaha Hi Lo is strongly encouraged to practice a few hands before placing any real money on the table. You can use different hole cards and different community cards for each of your high and low hands. 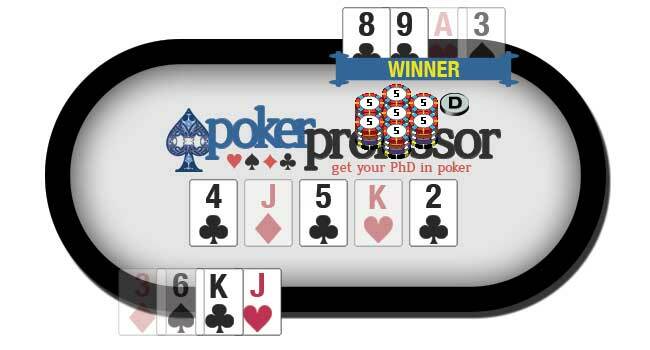 so when you are staking your claim to each pot you are usually submitting two different best hands. We recommend 888 Poker for a great place to play Omaha Poker. To find out more about them see our 888 Poker Review or to see alternate rooms to play Omaha Poker then see the Professor's reviews in our Poker Reviews section.